Adam Canfield has to be the most overprogrammed middle-school student in America. So when super-organized Jennifer coaxes him to be coeditor of their school newspaper, THE SLASH, he wonders if he's made a big mistake. 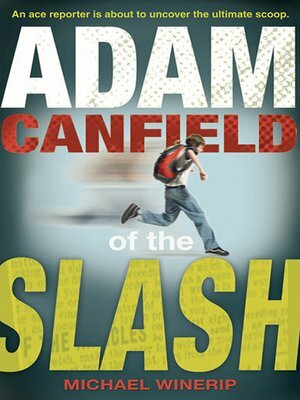 But when a third-grader's article leads to a big scoop, Adam and his fellow junior journalists rise to the challenge of receiving their principal's wrath to uncover some scandalous secrets. From a Pulitzer Prize-winning author and New York Times columnist comes a funny, inspiring debut that sneaks in some lessons on personal integrity — and captures the rush that's connected to the breaking of a really great story.